Grade school is a fast-paced time of learning and social and cognitive development. By fourth grade, children will have gotten the hang of the routines and rhythm of school and will be taking on the challenges of learning increasingly-difficult material in different subjects in school. Kids learn a number of new things in 4th grade, both socially and academically. Just as the formation of cliques begins to increase and complicate your child's social life, the academic ante is upped as well, requiring him not only to be responsible for his own work but to work in groups as well. This year is the genesis of the too-heavy backpack, as each subject in 4th grade usually has its own book and notebook. Curriculum varies from state to state, but many of the skills and topics kids learn in 4th grade are the same. This year in math, your fourth grader will start learning the processes on which the more complicated branches of math are based. In third grade, the focus was on number sense and patterns. 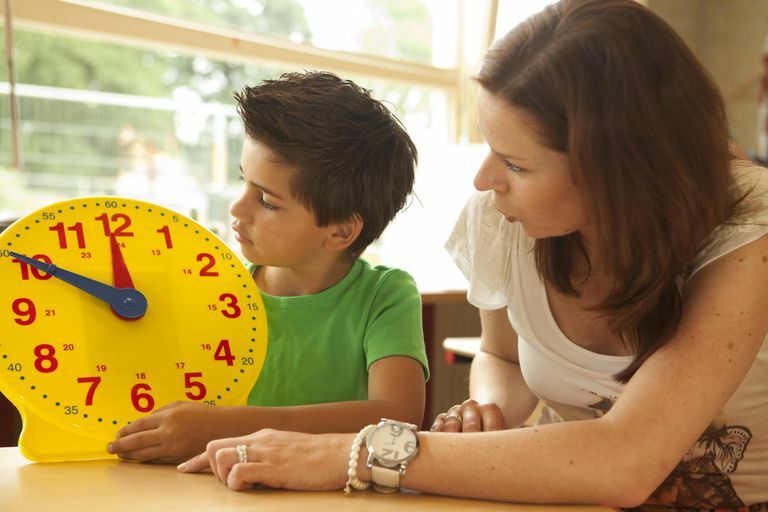 This year your child will learn to use those patterns to find the factors and multiples of numbers, to convert and calculate units of measure (for example, figure out how many minutes in one and a half hours) and to work with fractions. By the end of the fourth-grade year, your child should be able to add and subtract fractions, recognize equivalent and non-equivalent fractions, know the characteristics of lines and angles and feel comfortable analyzing, collecting, organizing and presenting data. Your fourth grader will begin to branch out a bit in reading. He'll work on gaining a more sophisticated vocabulary, beginning to look at word roots, prefixes and suffixes to figure out unfamiliar words and to associate them with words he already knows. He'll read a variety of new genres including myths and legends, folk tales and fables, learning to connect characters' experiences with events in his own life. This year he will also read different types of non-fiction materials, including encyclopedias, reputable Internet sites, and books as he learns to effectively research a topic. Fourth-grade writing is closely interconnected with reading. If reading fables and folk tales, your child is likely to be writing his own stories with himself as the hero. If it hasn't been before, writing is now a daily activity with a focus on using a variety of different types of punctuation to create sentences. Your child will learn the proper use of quotations marks and the power of dialogue in a story, striving to develop his personal voice and writing style. He will also be taught to use research tools to create a coherent, detailed report. In science, students are ready to move on to looking at the scientific processes of classification of organisms, the arrangement of objects by properties and measuring events. Topics he might explore this year include the motion of objects, electricity and circuits, fossils, meteorology, and trait inheritance. In learning about these different things, expect your 4th grader to begin asking many questions about the world around him, but don't answer too quickly. Finding ways to answer his own questions is all part of the process. The 4th grade Social Studies class typically devotes a great deal of learning time to students' home state. Your child will learn about the geographic features of his state, how they've changed over time and what role industry and settlement may have played in those changes. He will learn the history and government of his state and may even take field trips to visit the city or state government. By the end of the year, he should have a working knowledge of who's who and what role they play (or played) in creating the home in which he lives.